We are a family owned and operated business. ​When you join the Oakley Transport team as a driver, you are joining our Oakley family. We could go on and on about our business but if you want the core of who we are it can be broken down into these three areas. 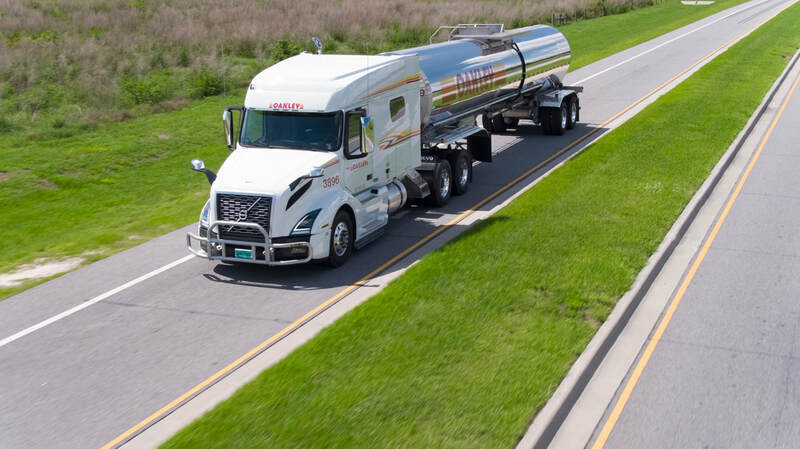 We are the premier leader in the liquid, food grade transportation sector. We haul everything from soda products, to chocolate, fruit juice to grains and a lot of other food grade commodities in between. 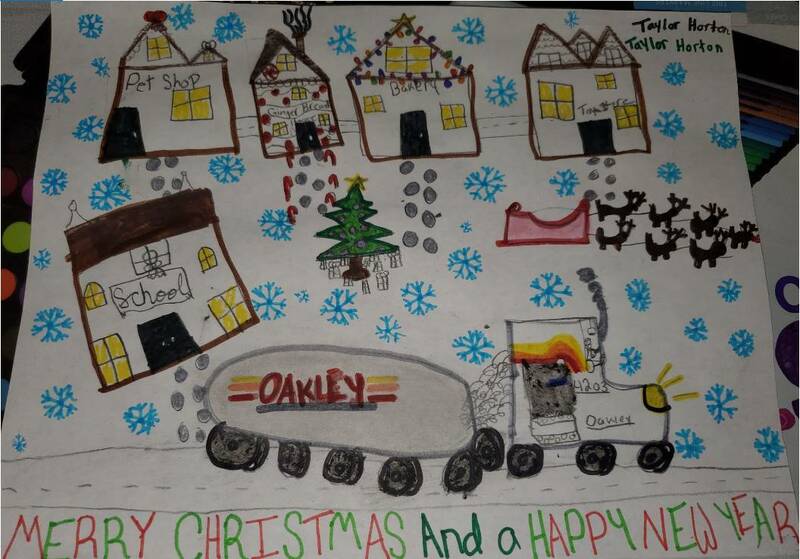 The largest food and beverage companies in the world trust Oakley Transport with their products and that is something we take very seriously. We believe in quality in all that we do. And we care deeply about every aspect of your career with us. From your Driver Manager relationship to the tractor you drive. So we make sure you are given the best equipment to get the job done. We operate a fleet of dependable, late model Volvo tractors and high quality stainless steel food grade trucks. We are proud to be a family owned and operated company and our professional CDL tanker drivers become part of that family. We call each other by our first name, not our driver numbers. We know that the foundation of a great relationship is trust and so we make sure we are accurate, reliable and trustworthy in all that we do. 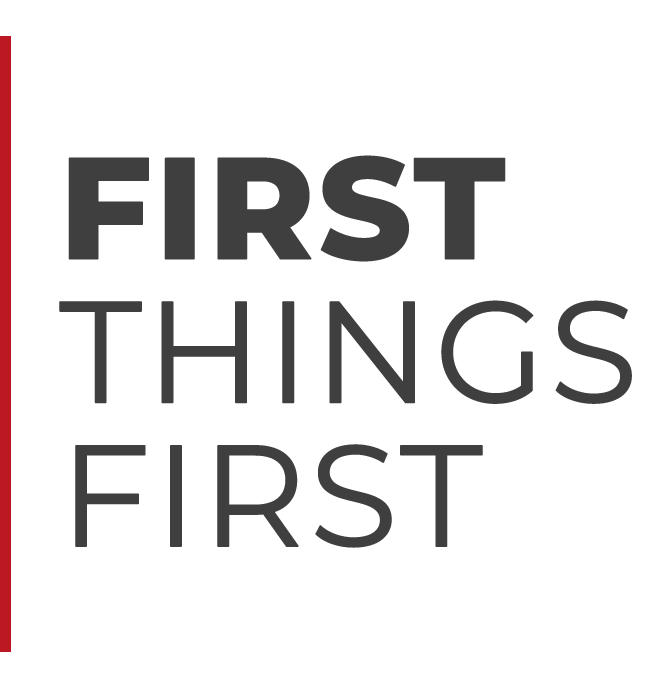 In a nutshell: We are a full service, dedicated food grade carrier serving the United States, Canada, Mexico, and the Caribbean Islands. Have at least 1 year of verified tractor trailer experience. Up to $2,000 for Dry Van / Reefer and up to $7,000 for Tanker -- based on experience. 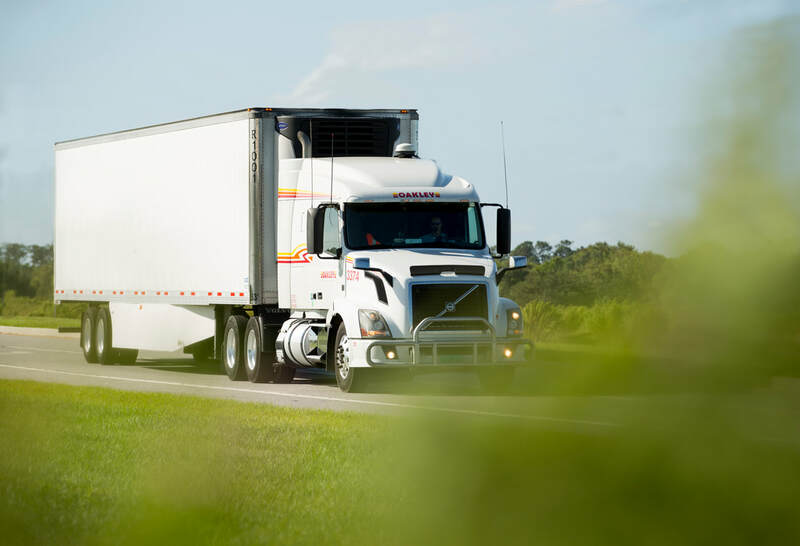 Earn up to $2,000 per driver referred to Oakley. 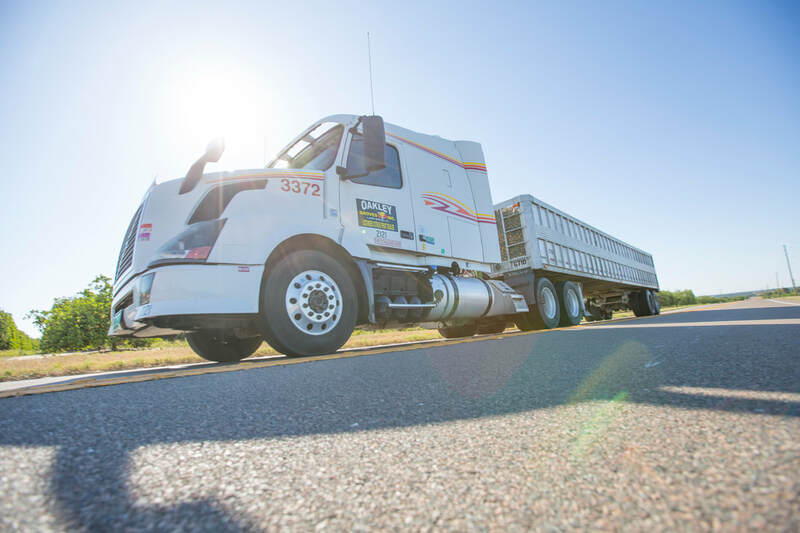 We have an annual safety bonus with sweepstakes entries awarded to our safe drivers! We offer additional CPM when you exceed your minimum miles driven plateau. WHERE DO I GO AND HOW LONG IS ORIENTATION? 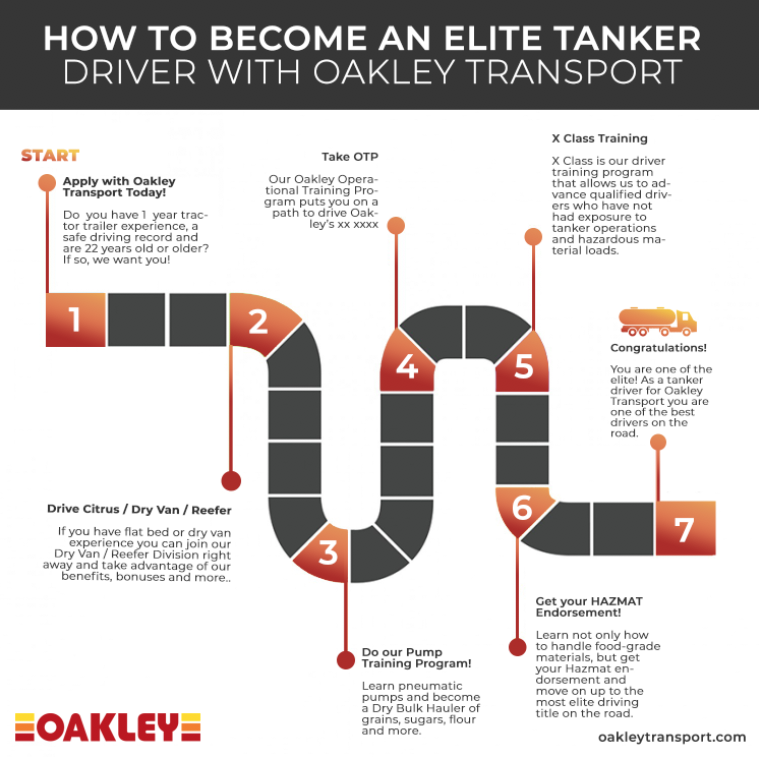 I HAVE NEVER PULLED A TANK, CAN I STILL WORK FOR OAKLEY TRANSPORT? Yes! We train experienced drivers on safe driving, product handling and pumping.